Indian armed religious orders are thoroughly studied so far. 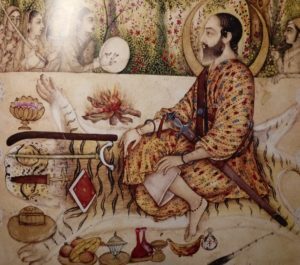 It is worth noting that common knowledge of Indian Ascetics are based on information from modern tourists, visited Hindu festivals, which have a centuries-old tradition. It is due to this tradition that Ascetics pilgrims should look and behave in a certain way. 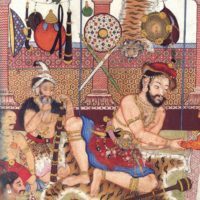 In historical reality the Nagas (a common name for armed branches of Ascetics unions) practiced nudism in certain cases: during the initiatory rite and pilgrimage, in battle sometimes. 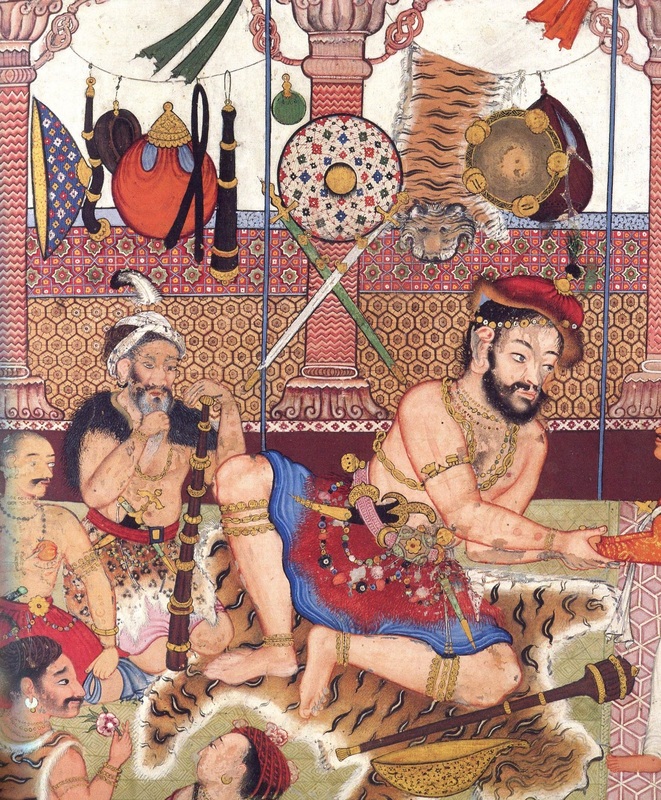 The ascetic with a double-sided dagger made of antelope antlers, 1755. 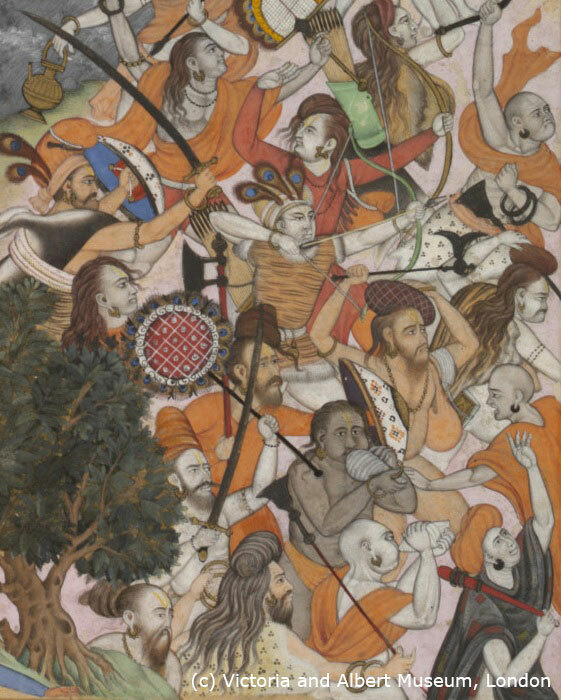 Having appeared as a response to the Muslim invasion of the 12th century to resist the armed detachments of Fakirs and Dervishes, unprotected ascetics suffered from first and foremost, over time warriors ascetics turned into hit squads, using muskets and cavalry. Discipline, hierarchy, fidelity to the leaders and disregard to death allowed Ascetics to adapt to paramilitary organizations easily. 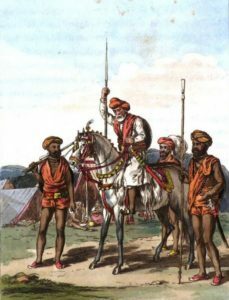 Having reached the peak of its power by the middle of the 18th century, when the armed ascetics units turned to armies of many thousands with cavalry and artillery, even hired mercenaries, after crushing the rebellion of Sannyasis and Fakirs in Bengal and Bihar in the late 18th century, their role in the political and economic life of India steadily decreased. Significantly that was due to the fact that ascetics were outlawed and their persecution within the Anti-Thug campaign. Ascetics were engaged in other activities as well. Often tax collection was more like farming and render collection. A well-known scheme was also used when property owners were forced to hire one ascetics to protect them from others. Nevertheless, despite such excesses, Ascetics in general ensured stability of the economy and trade, supported agriculture at their residency. 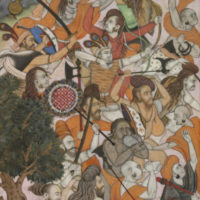 Documented history of armed monastic orders started with a description of the battle between Shaiva ascetics and Yogis, which was observed by Akbar I The Great in Thanesar in 1567, and is limited to 1914 when Ascetics sent a proposal The Government of India, offering its services to participate in the First World War, but later refused when they were offered to be enlisted. Researchers referred origin of armed asceticism tradition, as one of the branches of religious life, to the early Middle Ages. 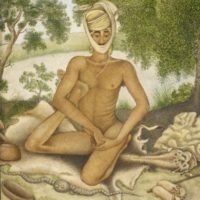 Nath yogis (usually just «yogis») were the first of the Ascetics groups, who took up arms in an organized way. 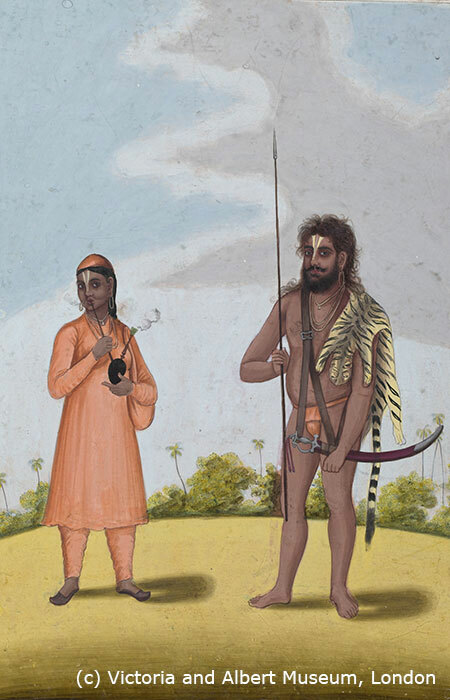 Later, armed yogis were integrated into the armed branch of Shaiva Sannyasis order. The sequence of ascetics armed branches communities creation was as follows: Yogis, Shaiva Sannyasis, Ramanandi sect, Vishnusvamis, Nimbarkas and Vallabhacharyas. Then more peace-minded sects of Satnamis, Dadupanthis and at last Nanakpanthis were involved in the process. 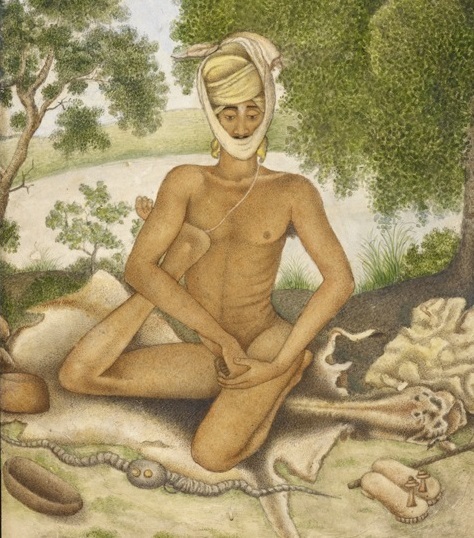 Armed ascetics were called Nagas, Yogis, Sannyasis, Fakirs, Gosains or Bajragis in different periods in different parts of India regardless Hinduism and pseudo-Muslim streams of asceticism. 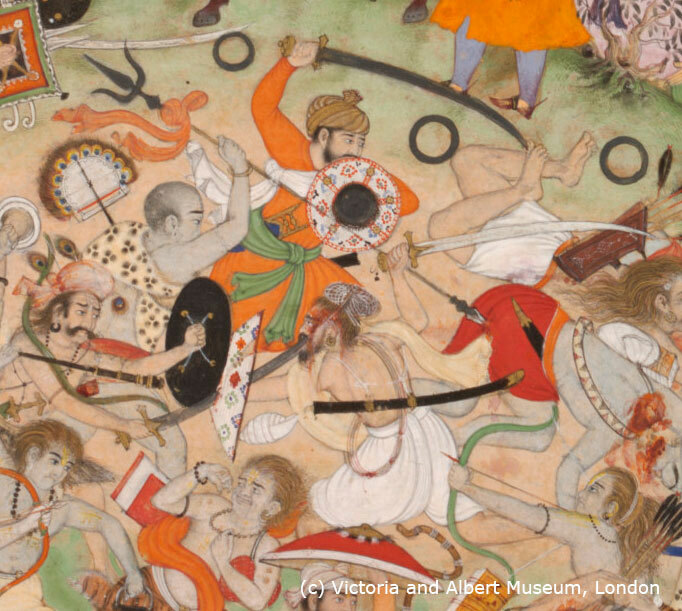 During the traditional celebrations of Kumbh Mela there were mass bloody clashes between various groups of ascetics for the right to perform the rite first. 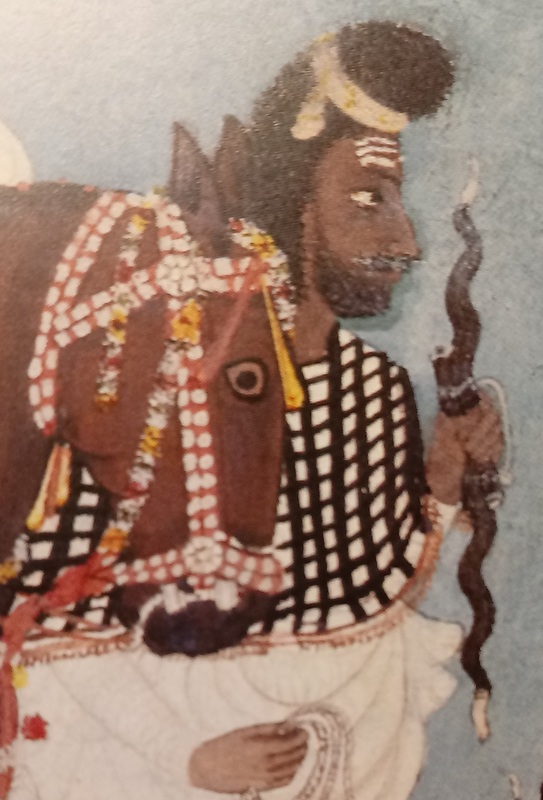 When did Dattatreya attack his enemies ? 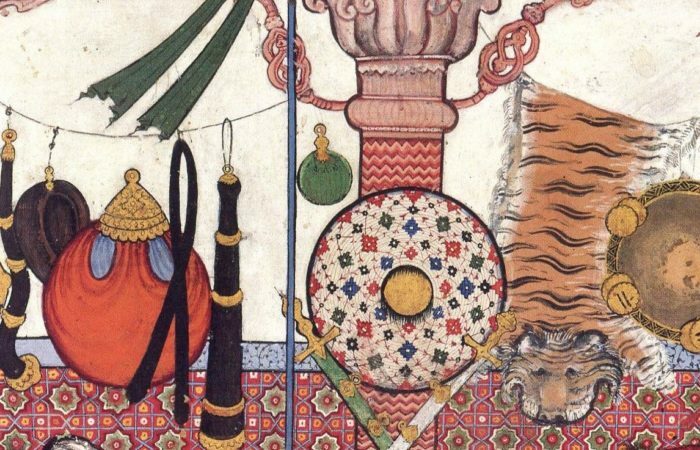 When did Sukdeva lay a cannon ? Or Vasudeva wind a horn ? Shall 1 call such ascetics or bowmen ? 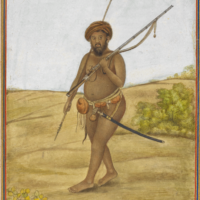 As mercenaries ascetics soldiers served maharajas, common landowners, and the British too. 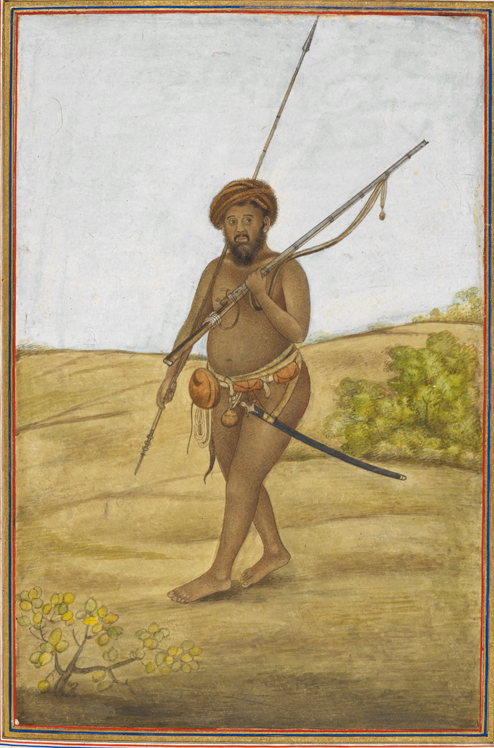 Almost every zamindar had a bodyguards detachment of ascetics. They were hired in the principalities Kota and Bundi back in the early 20th century. In the first half of 20th century ascetics still guarded the gate of the palace in Udaipur. In general, their role in the military life of India was quite comparable to that of Swiss mercenaries in Europe. 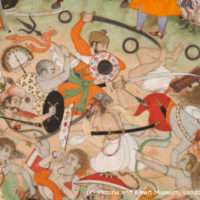 Their strict command hierarchy, fortitude, devotion to death to their leaders, combined with excellent combat skills, especially melee, made them a coveted part of any military until the nineteenth century. 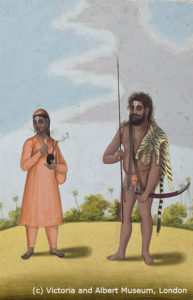 Increase of ascetics soldiers number in Northern India in the 18th century was due to the fact that the changed conditions of war required greater physical and mental discipline because of the increased importance of firearms and the consequent need for soldiers who could remain at duty under fire, listen to the instructions of the field commander, and sequence of precise volleys. Even later ascetics were considered excellent melee masters and were used as shock infantry due to their personal skills and qualities. The tongs for fire «chimta». Sometimes it was sharpened and used in melee like a small sword. 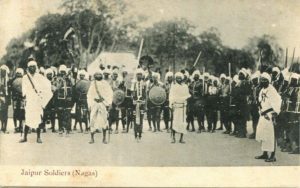 They were well-versed in sword, skillful fighters and were always ready to close with the enemies, abetted by their constant training and exercise. It were melee weapons skills ascetics paid a significant part of their time, studying in traditional schools — akharas. Despite the fact that ascetics have come a long way from a personal defense with the wooden staff to armies of thousands using cavalry, muskets, cannons and even missiles, despite the fact that at a later stage armed asceticism became simply a way of life and a way existence; once participation in battles and exercises with weapons were one of the forms of asceticism and worshipping Hanuman and a condition not only for self-identification and improvement, but also a mean of achieving religious salvation.